Bulls fullback Warrick Gelant will miss the Super Rugby clash against the Hurricanes in Pretoria on Saturday due to a knee injury. The 22-year old was set to start alongside Travis Ishmael and Johnny Kotze in the Bulls’ back three, but will now be replaced by Divan Rossouw. Twenty-one-year-old Namibian-born utility back Rossouw will make his Super Rugby debut, after originally being named on the bench. Rossouw’s place on the bench will be taken by wing Duncan Matthews. 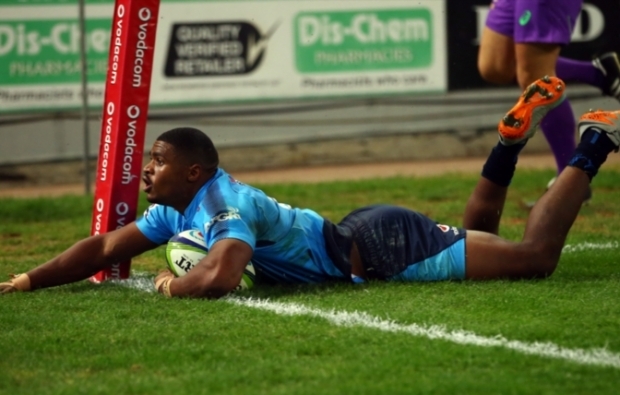 Bulls – 15 Divan Rossouw, 14 Travis Ismaiel, 13 Jesse Kriel, 12 Burger Odendaal (c), 11 Johnny Kotze, 10 Handré Pollard, 9 André Warner, 8 Hanro Liebenberg, 7 Thembelani Bholi, 6 Roelof Smit, 5 Lood de Jager, 4 RG Snyman, 3 Frans van Wyk, 2 Jaco Visagie, 1 Pierre Schoeman. Subs: 16 Adriaan Strauss, 17 Lizo Gqoboka, 18 Conraad van Vuuren, 19 Nic de Jager, 20 Marco van Staden, 21 Embrose Papier, 22 Marnitz Boshoff, 23 Duncan Matthews.